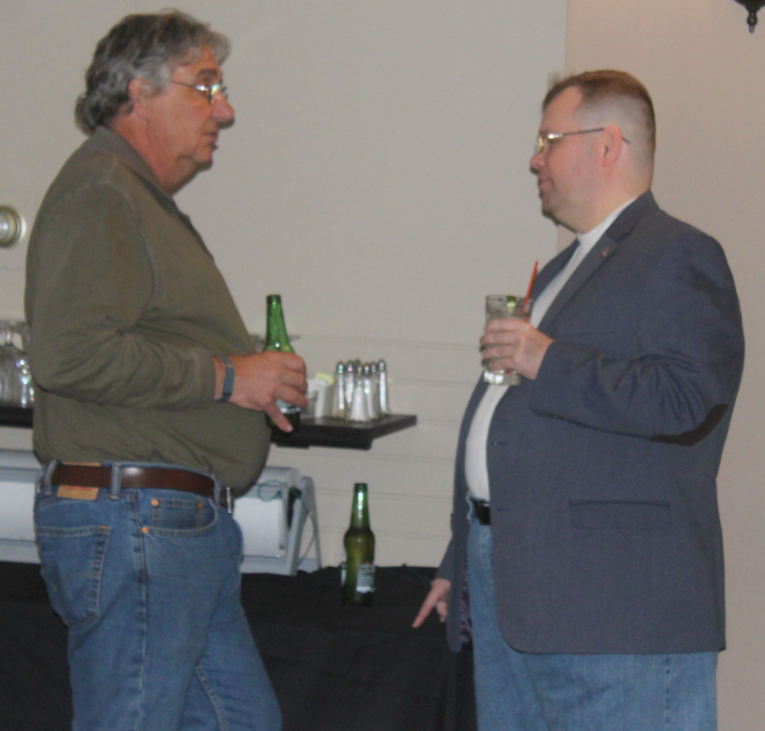 Former Algonquin Township Road Commissioner Bob Miller and Algonquin Township Road Commissioner Andrew Gasser at a Cary Country Club fundraiser. I’m curious as to why the local paper, the Northwest Herald, referred to as the Northworst Herald by the current Algonquin Highway Commissioner, has not run a story on Miller’s claim of fake news being a factor in the election. Curios because of the numerous articles they have run on the current Highway Commissioner who has called them out as fake news. What publication was providing fake news that impacted Miller’s loss? If there was no fake news, would that make his claim a lie? He went on to claim his loss was because somebody lied and cheated. “I didn’t lose because I did a bad job. I lost because somebody lied and cheated,” Miller said. For a person who has invoked his 5th Amendment right against self-incrimination, it is ironic that he wants to point to others and cite lies and cheating as the reason he lost. We know, the election is long over and many will moan and groan as to why we bring up comments from over a year ago. We do so because the truth will always prevail, provided it gets told. As we await the McHenry County State’s Attorney’s completion of his investigation into Algonquin Road District, yes it continues, let me be clear about lies and cheating. We have substantial evidence that points to lies and cheating by several people who worked out of the Algonquin Township Road District during the last Miller term. That evidence includes both paper and video validation of lies and cheating. We contend the evidence is to the level that would justify indictments of certain people. We are holding this information for now as to not hamper the investigation but do intend on releasing all of it in the near future. that to date has prevented the truth from getting out. In fact, Miller is so desperate to suppress the truth he has filed a motion to quash a subpoena for records related to our FOIA lawsuit. Oh do tell, Bobby Miller, what don’t you want the world to see? The truth will come out and it will be clear when it does. Mystery Case solved: Miller actually was referring to himself! Today they featured a story that Mary Lou Siedel, a former FRG alderman and long time Democrat, called for Gasser’s resignation. Clearly a non story pumped up for political reasons.